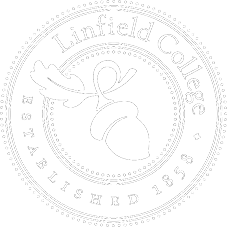 Linfield College was ranked in the top 100 of national online bachelor’s degree programs, according to the 2019 U.S. News & World Report list released Tuesday. Linfield has the highest-ranked online bachelor’s degree program among private liberal arts colleges in Oregon. Linfield is tied for 76th place with universities such as University of Denver and Missouri State University. The magazine assessed programs based on engagement, services and technologies, faculty credentials and training, and expert opinion. “At Linfield, our online students benefit from the advantages provided by a private liberal arts college: small courses, personalized advising and meaningful relationships with their professors,” said Laura Brener, director for online and continuing education. Linfield jumped more than 60 spots nationally; in 2018, Linfield’s program was tied for 143rd place. 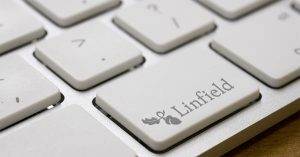 Linfield has been involved in online education since the 1990s. It offers online bachelor’s degrees in Accounting, Business Information Systems, Computer Information Systems, Global Studies, History, International Business, Management, Marketing, Project Management and Nursing. Students interested in starting classes this spring are encouraged to apply now. Contact Linfield’s Office of Admission at 503-883-2346 or www.linfield.edu/oce for details. This entry was posted in Latest News, Press Releases and tagged Laura Brener, Online and Continuing Education, online bachelor's program, Rankings, U.S. News & World Report, US News, US News & World Report. Bookmark the permalink.